The UK House of Commons report makes a strong case for engaging Russia in security debates during the NATO Warsaw Summit and beyond. 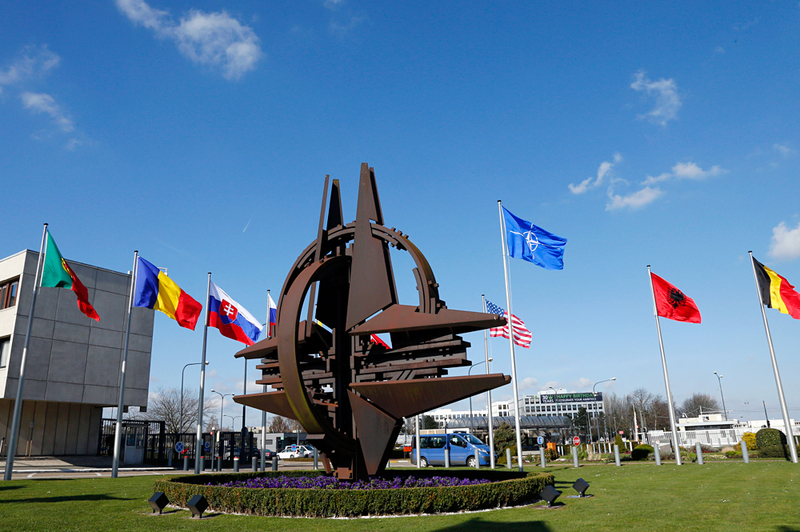 Photo: Flags of NATO member countries at the Alliance headquarters in Brussels. Widespread fears about potential implications of Britain’s withdrawal from the European Union notwithstanding, analysts doubt that ‘Brexit’ will change EU policy towards Russia in the near future. The latest House of Commons report on Russia indicates no change in Britain’s vision of its security interests either. Britain’s House of Commons Defence Committee has released a report highlighting the challenges Russia poses for the kingdom’s security interests. The report comes at a critical moment, with Britain’s vote to leave the European Union triggering debate on how ‘Brexit’ would reshape the EU’s economic and security policy towards Russia. The country has been in the spotlight of European politics since the crisis in Ukraine erupted in early 2014. Simultaneously, the report makes a strong case for engaging Russia in security debates during the forthcoming NATO Summit in Warsaw from July 8, to prevent unintentional escalation in Europe. This is despite the report’s clearly articulated premise that Moscow poses a considerable challenge to British security. Britain’s exit from the EU is a long-term process that is unlikely to affect EU policy towards Russia in the immediate future, according to analysis by Stratfor. Nevertheless, Brexit may give Moscow a certain advantage in its relations with the EU as “the European Union's long-standing consensus on sanctions could break [because of Brexit] by the time the next vote occurs, probably in January 2017,” says the analysis. Some experts, including Stefan Gänzle, associate professor at the University of Agder in Norway, anticipate a quicker change in the EU sanctions policy towards Russia. “The EU sanctions regime towards Russia is increasingly difficult to sustain, given the rising skepticism among members such as Germany, Italy, Greece and others,” Gänzle told RIR. “As the UK was among the most active advocates in favour of a robust sanctions regime, the prospect of Brexit will increase the likelihood of a change within the lapse of the next couple of months,” he said. Britain and EU members’ views on security appear to be more rigid, however, contributing to the unity of NATO members in the alliance’s tough approach to Russia. “When it comes to military and security matters, I would say that NATO is the prism through which both the UK and most of the EU countries perceive Russia. In this area, I would expect to see more continuation,” said Gänzle. While it is difficult to predict what impact Brexit may have on Britain-EU relations, analysts agree that Britain and the EU will maintain close cooperation in the sphere of security. “I don't see the UK’s voice disappearing from EU discussions on security. Indeed, that voice will remain everywhere that counts, since the organizations governing security in Europe are not EU-based,” Michael Kofman, a fellow at the Kennan Institute of the Wilson Centre, told RIR. The British report is likely to shape the agenda of the Warsaw Summit, where NATO members will discuss key challenges facing the alliance and ways to address them. Relations with Russia will be “one of six broad interlinked agenda items that are likely to dominate the Warsaw Summit,” said SIPRI experts. The British House of Commons report may benefit Moscow in this respect as it urges British policymakers to engage Russia in security-related discussions and to cooperate with the Kremlin in combating terrorism. “The UK should assess what it can realistically do to engage with Russia, to test the practicability of working together against DAESH [Islamic State] and other extreme groups. In principle, it is perfectly possible to confront and constrain an adversary in a region where our interests clash, whilst cooperating with him, to some degree, in a region where they coincide,” states the report. Although experts say that dealing with Russia may not be as easy as leading candidates for the British prime minister’s office might imagine at the moment, Britain’s relations with Russia are likely to become more practical in the future. “I would argue that the UK will have a more pragmatic – politically expedient – relationship with Russia in the coming months and years,” James Nixey, Head of the Russia and Eurasia Programme at Chatham House, told RIR. The Kremlin has welcomed the report’s call for dialogue. “The manifestation of the desire to communicate is encouraging and fully corresponds to the consistent position of Moscow that international problems and problems of bilateral relations can only be solved in dialogue,” said presidential press secretary Dmitry Peskov, commenting on the report.